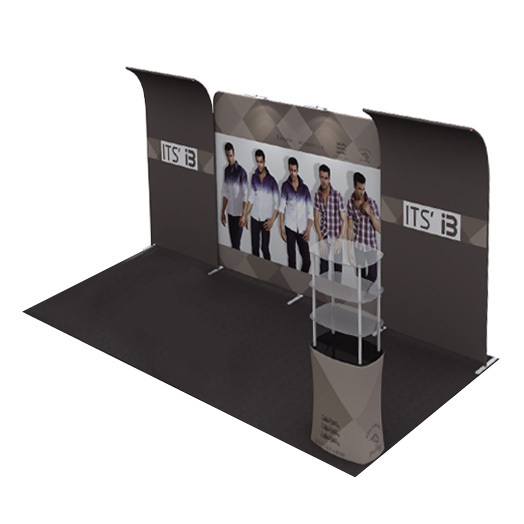 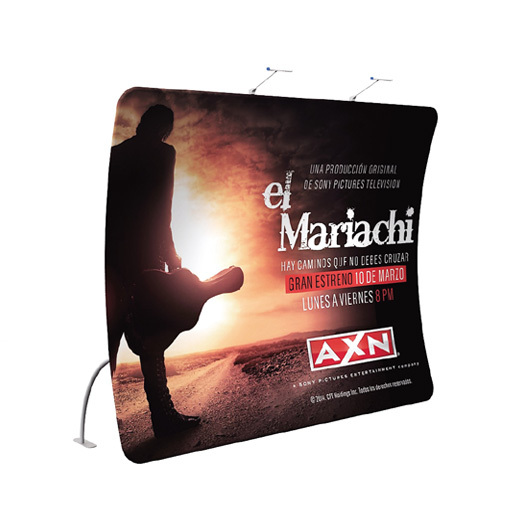 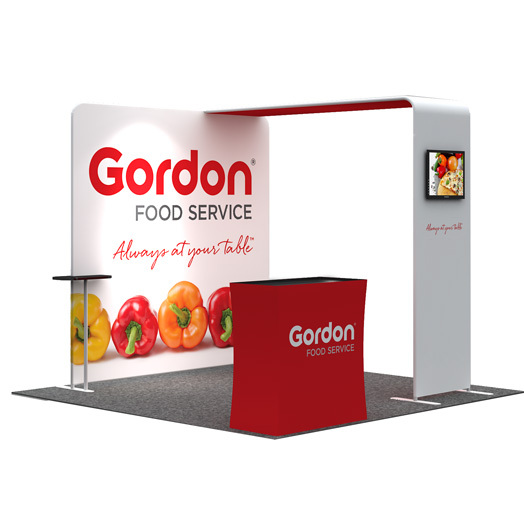 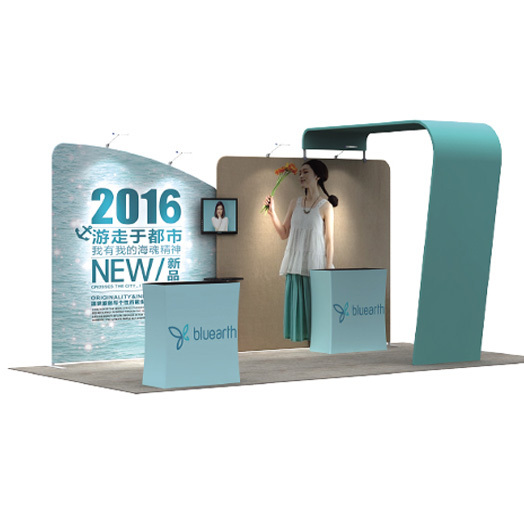 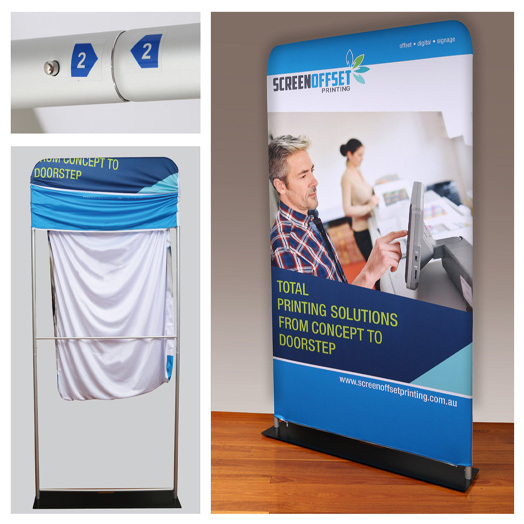 The ‘Exhibition Package 2’ features 1 x 3m Straight Wall, 2 x Waterfall top accessory wings with a combined total width of 5m and 1 Display Rack. 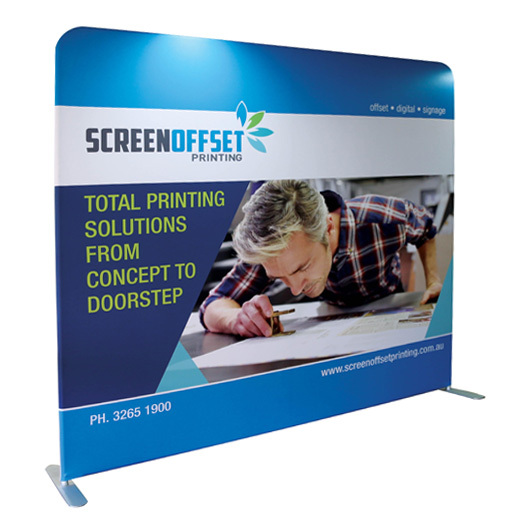 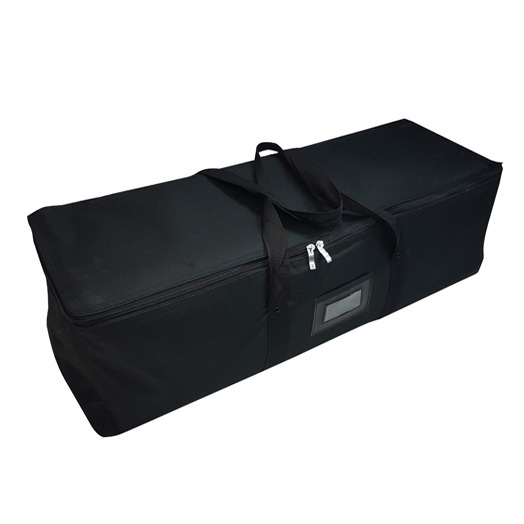 Price is based on special discounted package rate and includes all items listed above and printed in full colour on 1 side. 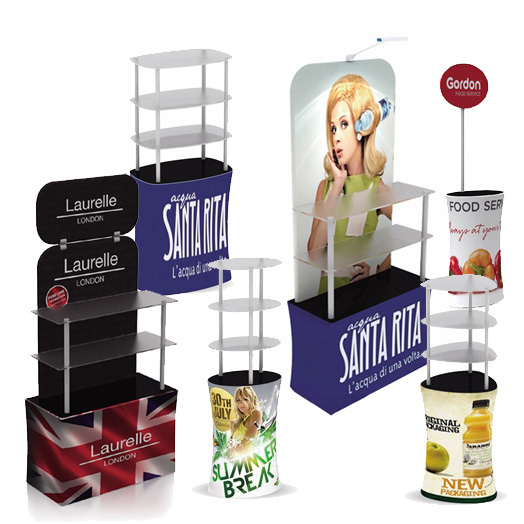 Price is based on artwork supplied and designed to supplied artwork templates.